A cheerful and excitable dog. 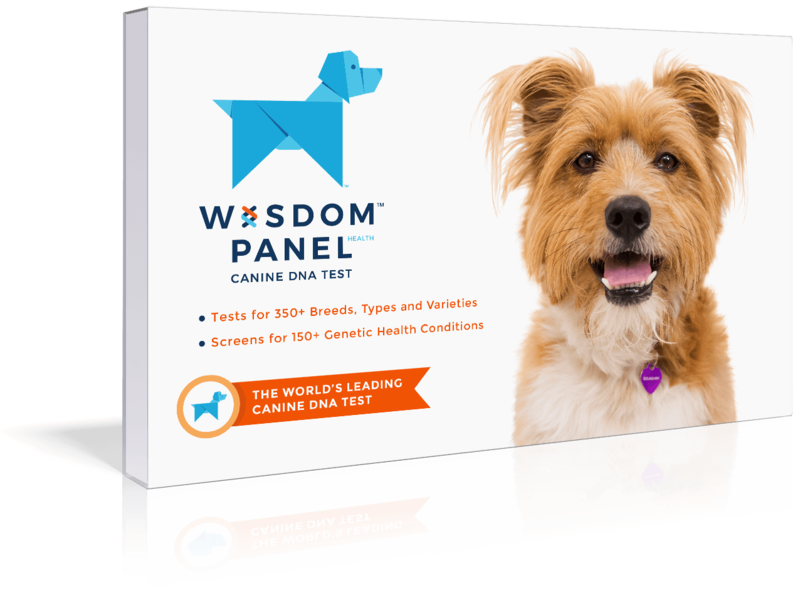 Intelligent, playful, energetic, and usually friendly, easy-going dogs. 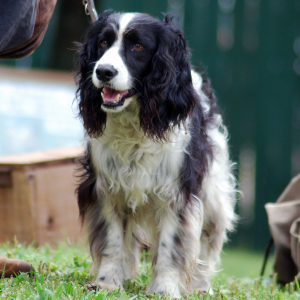 Enjoys dog sports such as field trials, hunting, tracking, agility and competitive obedience along with retrieving items including floating toys. 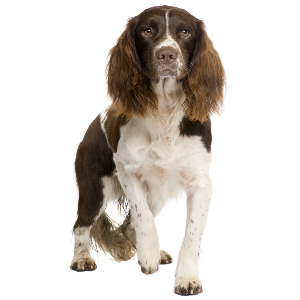 Quite food motivated, which may facilitate teaching the dog to drop retrieved or guarded items not intended for play. There’s nothing reserved about these cheerful and excitable dogs. 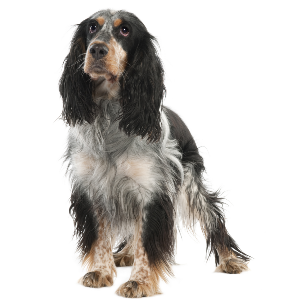 Perhaps that’s because, despite being English, they also have a little Mediterranean blood in them too – descended as they are from the spaniels of 14th century Spain. 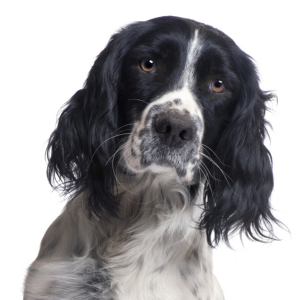 The English Springer Spaniel was the result of breeding efforts in 1890s, the goal of which was to create a dog ideally suited to retrieving game. 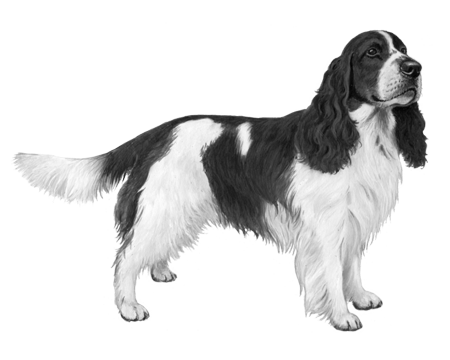 Welsh Spaniels, English Springer Spaniels and Cocker Spaniels were often born into the same litter and they would be separated by color and size, determining which category a pup fell into. They’re called ‘springers’ because they would flush (or ‘spring’) game hiding in bushes. We won’t beat around the bush. 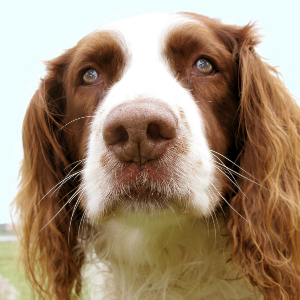 We think these attentive and loyal dogs are just fabulous.